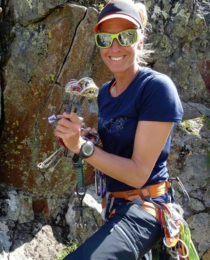 Maria, an IFMGA certified mountain guide, will take you to the summit of the amazing Grosser Geiger, in the Hohe Tauern mountain range. 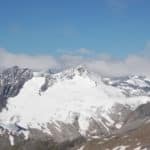 The Grosser Geiger (3360 m) is a beautiful mountain, surrounded by glaciers, in the Hohe Tauern mountain range in Austria. Its piramidal shape peak captivates our sight at the entrance of the valley. 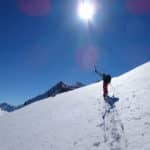 Today I invite you to join me in a 2-day ascent to the Grosser Geiger summit, via the north ridge. 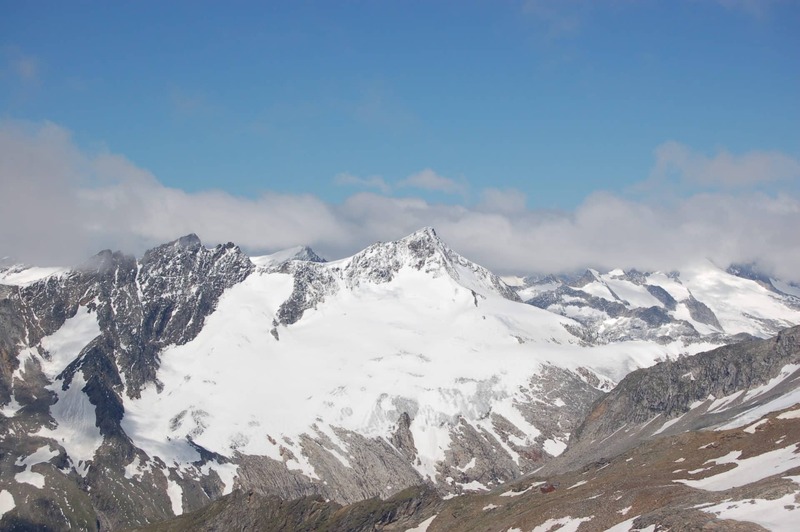 From the top, we will enjoy an amazing view of the surrounding glaciers and mountains! The Grosser Geiger is located on the border between the Austrian states of Salzburg and Tyrol, in the Central Alps. Also, it’s easy to reach and it’s a popular climb destination for many mountaineers. We will meet at Neukirchen am Grossvenediger. Then, we will take the Tälertaxi to the funicular station of Kürsinger Hütte. After that, we will climb up to the hut. It will take us about 2 hours. The next day we will start our ascent and get to the summit! We will enjoy a spectacular view and after a while we will begin our descent. Below this text you can check the detailed itinerary. Please note that you need to be in very good physical shape, as to climb 400 metres in an hour. Also, you should have a good head for heights. So contact me if you want to join me in this 2-day ascent to the Grosser Geiger. I will answer any questions you may have about the program. 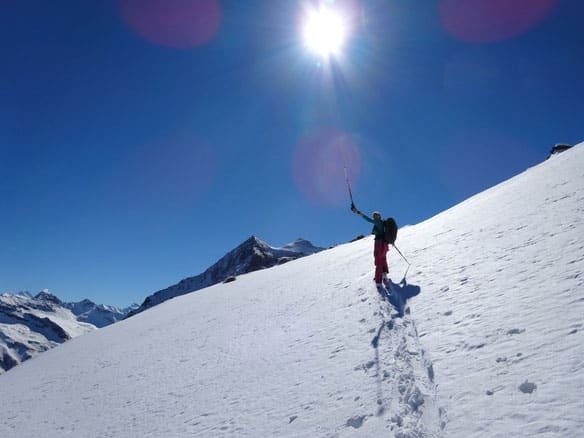 You can also check other ascent programs that I guide in the Austrian Alps, like the Grossglockner by the Stüdl ridge or the Grossvenediger by the normal route. I offer great multi-day trips with a variety of summit combinations. We can plan your own trip together! We will meet at Neukirchen am Grossvenediger. Then, we will take the Tälertaxi to the funicular station of Kürsinger Hütte. We can send the equipment to the hut by cable car. Then, we will decide whether we will make the climb to the hut via the normal path, the Klamml, or whether we will climb over the new via ferrata route. The climb will take us about 2 hours (↑ 600 m). The route will lead us today over the “Bleidächer” to the entrance of the north ridge. Then we will continue or ascent to the summit. Once in the top of the mountain, after enjoying a spectacular panorama, we will start the descent to the Salzburg side. At the cable car hut, where we started our climb , our tour will finish. Then, a taxi will take us out of the valley. It will take us in total about 9 hours. (↑ 1.200 m, ↓ 1.800). I offer rental equipment (harness, helmet, crampons). Contact me if you need any gear. I can also help you with a cabin reservation in the area.